Summer has arrived in the Dayton, Columbus, and Cincinnati regions! With the hot, humid weather we experience in Ohio this season, you will rely heavily on your A/C system to keep you comfortable. Air conditioning includes cooling of air, as well as cleaning the air and controlling the moisture level in your home. An air conditioner is able to cool a building by removing the heat from indoor air and transferring it outdoors. What makes an air conditioner 'cool'? 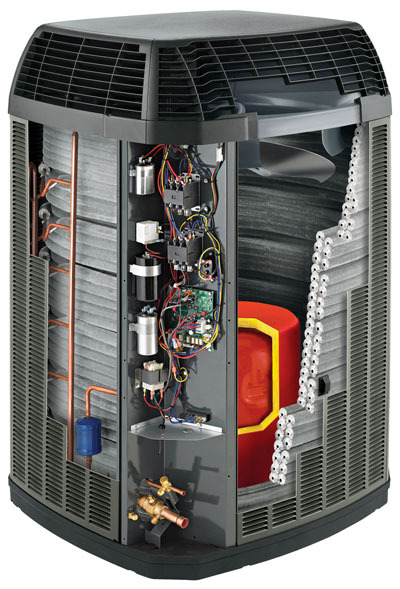 A chemical refrigerant in the system that absorbs the unwanted heat and pumps it outside. The center or "heart" of the system, the air conditioner compressor acts as the pump that moves refrigerant through the A/C system. The condenser coil is a series of piping that facilitates heat transfer of the A/C refrigerant and brings it to the expansion valve. The "brain" of the system, the expansion valve is a tiny opening that the hot refrigerant passes through. The air conditioner refrigerant emerges as a cool pressure mist due to expansion. The evaporator coil is a series of piping connected to a furnace or air handler that blows indoor air across it, causing the coil to absorb heat from the air. The cooled air is then delivered to the house through ductwork. The refrigerant then flows back to the compressor where the cycle starts over again. While many homeowners don't realize this, your furnace is also a big part of your cooling system, which is why we always recommend replacing both units at the same time. Let the fast, friendly team at Logan A/C & Heat Services know if we can help with any repair or replacement needs you have this year!